The Kodak Beau Brownie No. 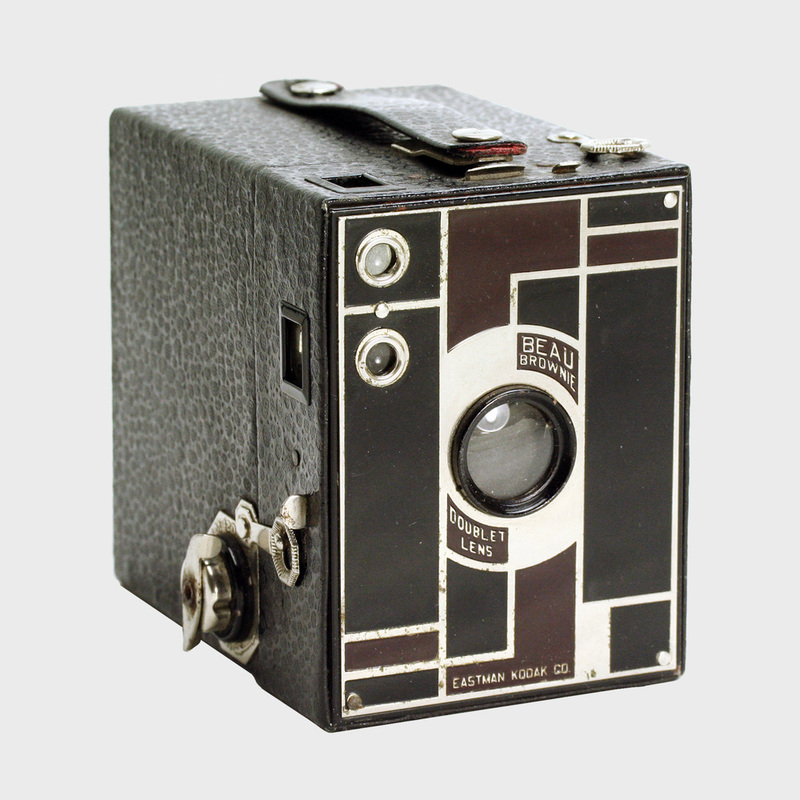 2 is perhaps one of the most beautiful, highly collectible and still very very usable 120 box cameras you'll find today. The things that make this camera great are the very things that make them both very expensive and very rare in the used market. First off, they're Kodak, so they're collectible just based on that. They were designed by none other than Walter Dorwin Teague, appealing to art deco fans. They were only made for about 3 years and thus exist in somewhat low numbers. They were made in 5 color-ways, some in more volume than others. Add all of these factors together and it's not strange to see a minty Beau Brownie in the "Rose" colorway sell for $500 - and up! The Beau Brownie has a solid and compact build, an amazing overall look, and a decent feature set with two apertures, a Time mode, the easy-loading "fixed film" system, and an available Portrait Lens attachment that isn't so hard to find. There are caveats, however. First, the often dirty viewfinders are very small and very hard to clean thoroughly. The only way to clean them completely is to remove the small pins that hold the faceplate onto the camera body. Remove these at your own risk - since they're basically small nails, they sometimes don't "grip" when re-inserted into the previous holes. The best technique we've discovered so far is to blast compressed air into the edges and crevices to blow out the inside dust, then swab the exterior glass liberally with a Q-Tip and lens cleaner (we use Windex, actually). Even if you clean them, however, they are small and somewhat difficult to use. The other strike against the Beau Brownie is a tendency to produce "fat rolls." Perhaps someone out there can suggest a fix for this? Despite a somewhat hampered feature set compared to other boxes, if you manage to get your hands on a Beau Brownie, you won't be sorry. Add the No. 3 Portrait Attachment and you've got a very interesting rig. PLEASE NOTE: If you plan on buying a Beau Brownie, make sure it's the "No. 2" and NOT the "No. 2a" which takes truly defunct 116 film. The 2a's are a little taller and look elongated. If, on the other hand, you simply want a beautiful object for your camera shelf, you can often catch a No. 2a for a lower price than a comparable No 2. A true beauty from a legendary designer, but hard to clean and maintain - and really expensive due to collector value.